When your car stops working, it’s definitely time to purchase a new one. But what can you do with the old car? Many people believe that, if their car isn’t functional, they can’t make any money getting rid of it. However, this is untrue. Below are a few ways you can make a profit off your old car, even if it cannot be driven. Though you may not be able to drive your car, it may still have some usable parts. Consider selling the car online “as is” or “for parts.” You may be surprised by how many interested buyers you hear back from. List the car on Craigslist, eBay, and your local classified ads. You can also remove the parts yourself and sell them individually. You may be able to make more of a profit this way, though it will take more time and vehicle knowledge. 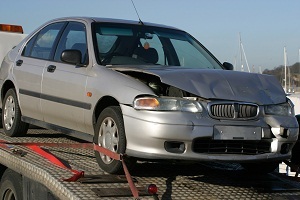 Depending on the problem with the car, it may be worth the time and investment to repair the vehicle. This will increase any profit you could make. Consult a professional first to see if this method is worth your time and effort. You can also sell the non-functional vehicle to a car salvage yard in Florida. This is an easy and fast way to make a profit off a car that can no longer be driven. The scrap yard will disassemble the car and sell off the cars to auto repair companies and private buyers. Plus, they will often tow the car away for you, making it even simpler. Though donating the unusable vehicle will not put any cash in your pocket immediately, you will see the benefits come tax time. On your taxes, you can deduct the value of the car, which may increase your refund next year. Additionally, you will be left with the satisfaction of knowing you did some good and helped others.